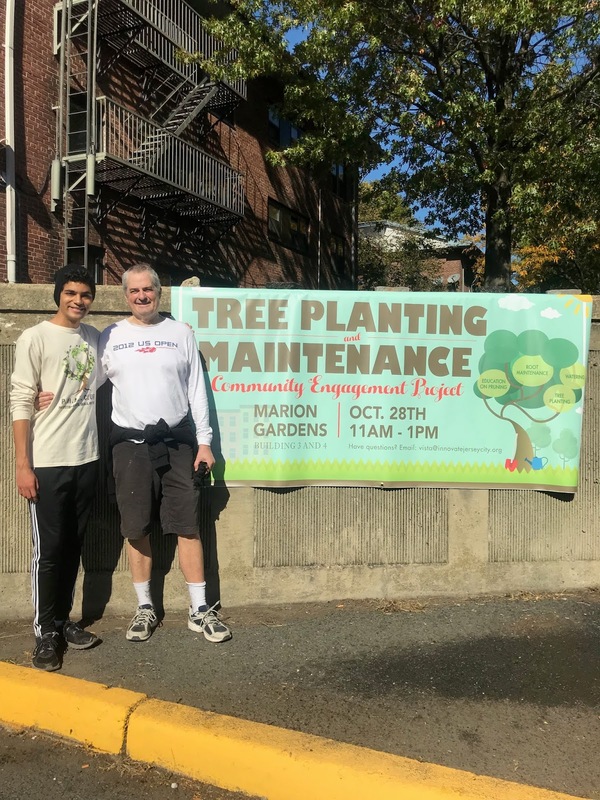 (October 28, 2017—Jersey City, NJ) High Tech Environmental Science major Jeremy Lewan of Bayonne and High Tech chemistry instructor William Goold joined in the Tree Planting and Maintenance Community Engagement Project, sponsored by the Jersey City Housing Authority, the Tree Lovers Crew, AARP, and several other organizations, announced Dr. Joseph Giammarella, principal of High Tech High School. 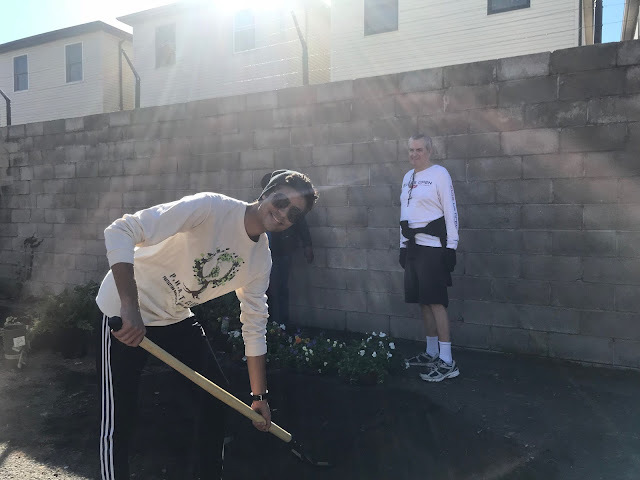 Approximately 40 community engagement project volunteers convened at Marion Gardens, between Buildings 3 and 4, where they dirtied themselves filling holes with nutrient-packed topsoil and planting native plants in tasteful organizations. 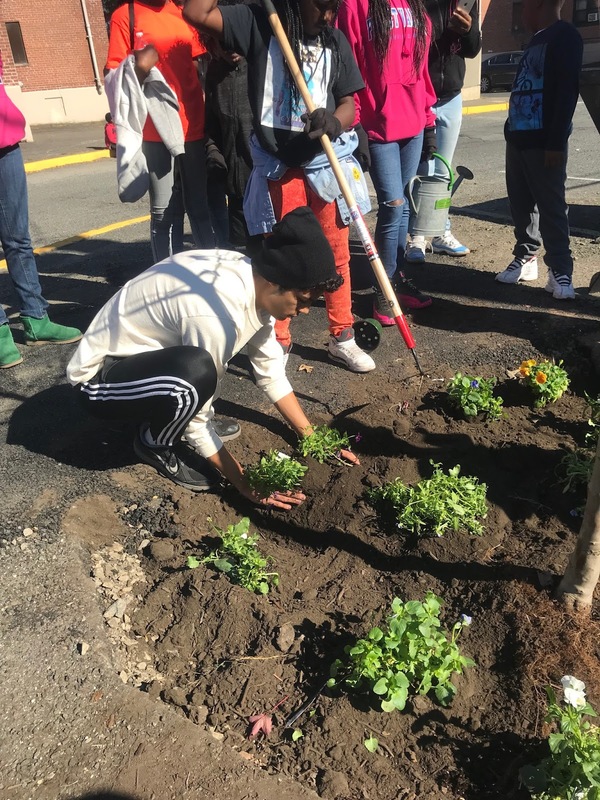 Participants received lessons on pruning, watering, root maintenance, and planting.